I'm crushing on the star!!! Ok, this is so cute! You took a great original idea and multiplied it! Makes you start thinking how many ways this concept could be used! Thanks! I love this! 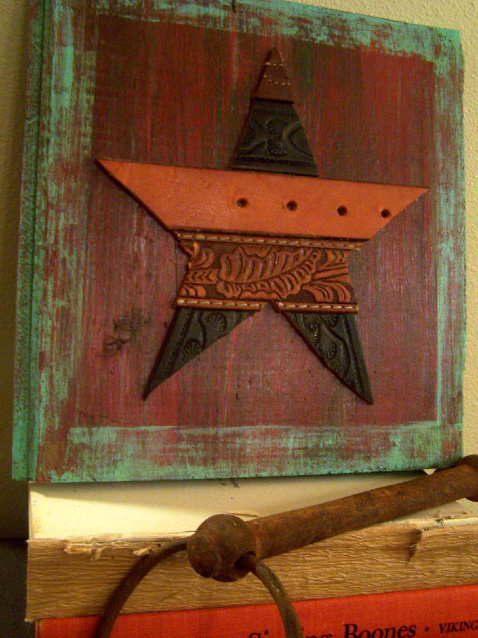 Being a lone star state girl too, I need to probably make one of these. LOVE it!!! Thanks for linking at my linky party!!!! It's still going on till Sunday! ammmmaaaaaazing...love love it! such a cool vibrant project...you're a rock 'STAR' girl! This is so cool. I love it! Came here via everyday blessings. I'm looking forward to visiting often! Great idea! So simple, I love it! You are so creative using belts! love it! So funny about the geese and hearts ~ I am of the same generation as you and am having a hard time with the eighties stuff coming back. Did you happen to see the Golden Globes and the dresses with shoulder pads and all that forest and emerald green? Ug. Just can't do it again. But I digress. 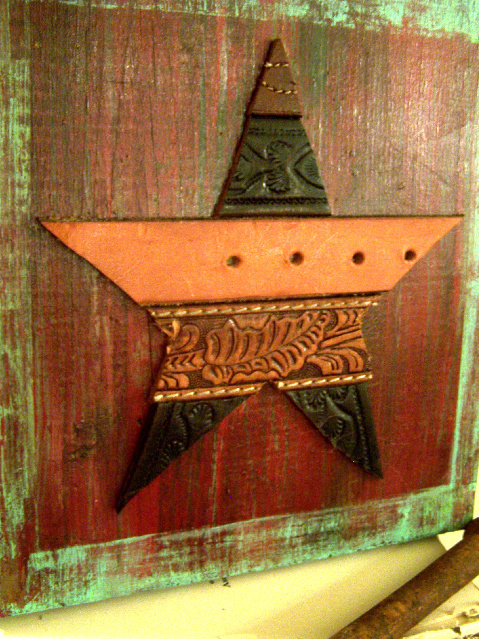 Love the belts and star as I lived in the Lone Star State for 13 years. I really need to work on my sawing abilities. Oh my goodness, this turned out so great. You could sell these! I've been to your blog before--I love the name & I always enjoy my visit.